Giacomo Puccini (1858-1924) was an Italian opera composer who has often been called the greatest composer of Italian opera after Verdi. Tosca (1900), based on the French play La Tosca written by Victorien Sardou, is one of Puccini’s most renowned works. It has a melodramatic plot set in Rome in June 1800, when Naples’ control of Rome was threatened by Napoleon’s invasion of Italy. It was a tumultuous time when Tosca premiered at the Teatro Costanzi in Rome on Jan. 14, 1900. The opera depicts characters entangled in emotional turmoil, along with some of Puccini’s best-known lyrical arias. Puccini saw Sardou’s play when it was touring Italy in 1889, in Milan and Turin. As he wanted to obtain the rights to turn the work into an opera, he wrote to his publisher, Giulio Ricordi, imploring him to get Sardou’s permission. Dissatisfied with the reception of La Tosca in Italy, particularly in Milan, Sardou preferred to allow a French composer to adapt his play. Nonetheless, terms were reached between Ricordi and Sardou, and the librettist Luigi Illica was assigned to write a scenario for the opera adaptation of La Tosca. It took four years to turn the wordy French play into a concise Italian opera. Puccini used Wagnerian leitmotifs to establish ideas and characters. 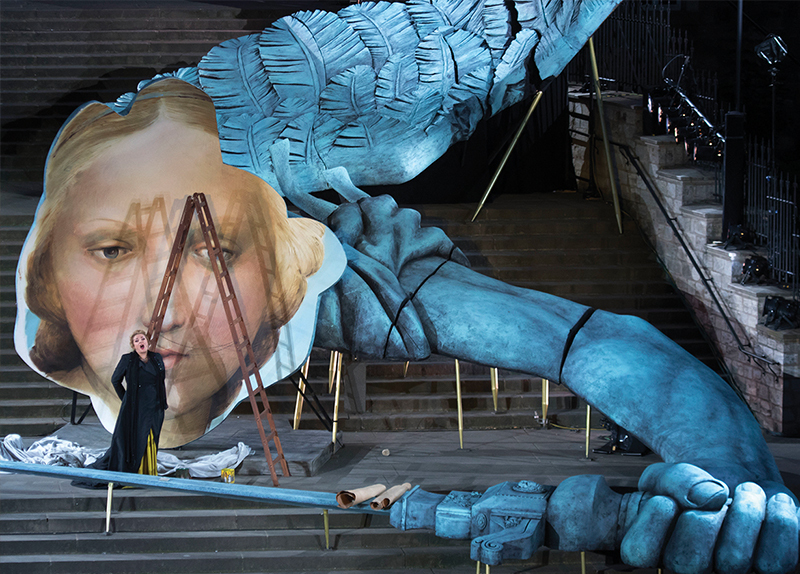 The dramatic impact of Tosca and its characters continue to enthrall both performers and audiences, and the work remains one of the most frequently performed operas. 1. Where did the opera Tosca originate from? 2. Why did Sardou prefer to allow a French composer to adapt his play? 3. What was it like when Tosca premiered in Rome? 1. Have you seen an opera? If you have, what was it? How did you like it? 2. Do you think learning about opera would be another good way to study history? 3. Which form of entertainment do you enjoy the most - TV shows, movies, concerts, plays or musicals? 4. What do you think is the most important factor in finishing a creative art work - creativity, talent, or passion?